In the 1970s, the economy of Interior of British Columbia was growing and industries were expanding rapidly. 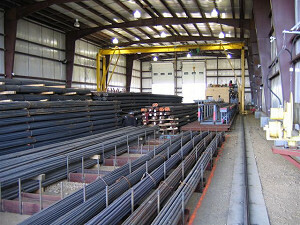 The need for a reliable supplier of reinforcing steel located in the Interior became apparent, and so began CanaSteel (formerly Prince George Steel). The company has grown and thrived for over 20 years. As a member of the Prince George Construction Association, CanaSteel is active within the business community, and is also a supporter of many worthwhile charities. CanaSteel operates their main office out of Prince George BC, and also has a supply building in Dawson Creek BC. They have serviced many projects throughout the province and are known as an extremely reliable and capable firm.